This is a collection of 9 Free Clip Art Pilgrims Images. Here we have black and white Pilgrim ladies, men and couples… And we have several full color options as well. These are all Vintage Images that are great to use in your Thanksgiving Crafts, Decor Projects or Designs… or where you want to add a little Vintage Flair for the Thanksgiving Holiday! You could use these Clip Art Pilgrims to make Place Cards, Napkin Rings, Menus, Invitations and more. This cute Pilgrim Silhouette comes from an early 1900’s Type book. He’s holding a blank sign, which made me think he would be perfect for Thanksgiving Place Cards! 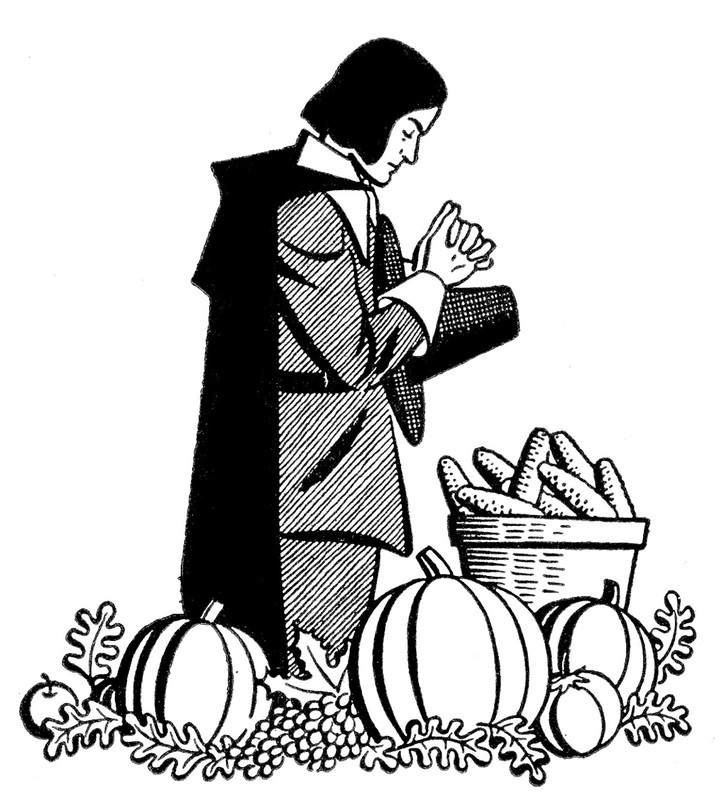 This is another Clipart Pilgrim from an old Printer’s book. This young man is saying a prayer, he has 2 glowing candles on the table in front of him. Here’s a nice Traditional Thanksgiving Graphic. This one shows a Pilgrim Man Praying, he appears to be Giving Thanks for all of the food that is laying below him. There are Pumpkins, Apples and lots of Corn. 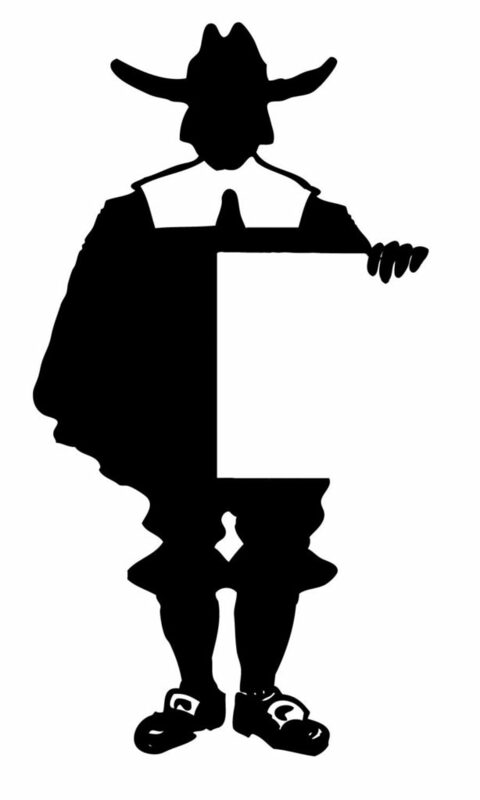 This is a Cute Thanksgiving Pilgrim Lady Silhouette! The lady is carrying a steaming hot Turkey. 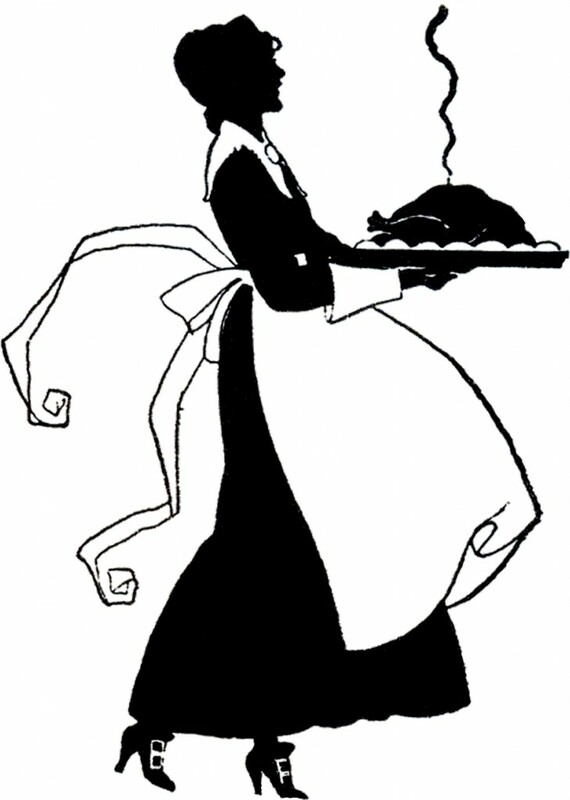 She’s wearing a traditional Pilgrim style costume with a White Apron. This one was scanned from a recent addition to my collection, an old Circa 1941 Printer’s Catalog. The Catalog does not appear to have ever been copyrighted, as there is no copyright mark on it. This is a Vintage Thanksgiving Grace Image! 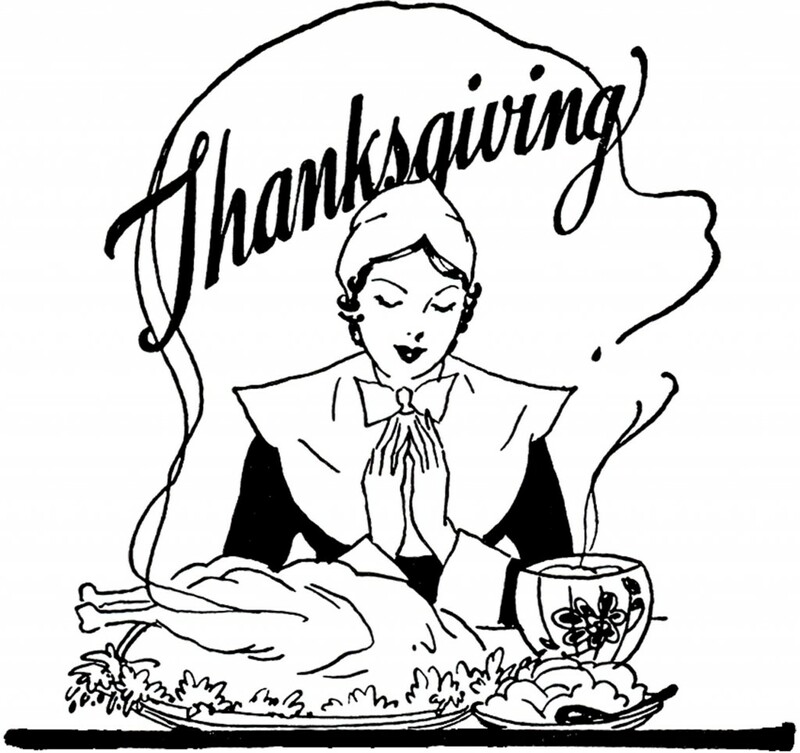 This is a black and white illustration of a Thanksgiving Pilgrim Lady giving Thanks in front of a table laden with food, Turkey and all. This is another one from a rare Circa 1941/1942 Printer’s Catalog. 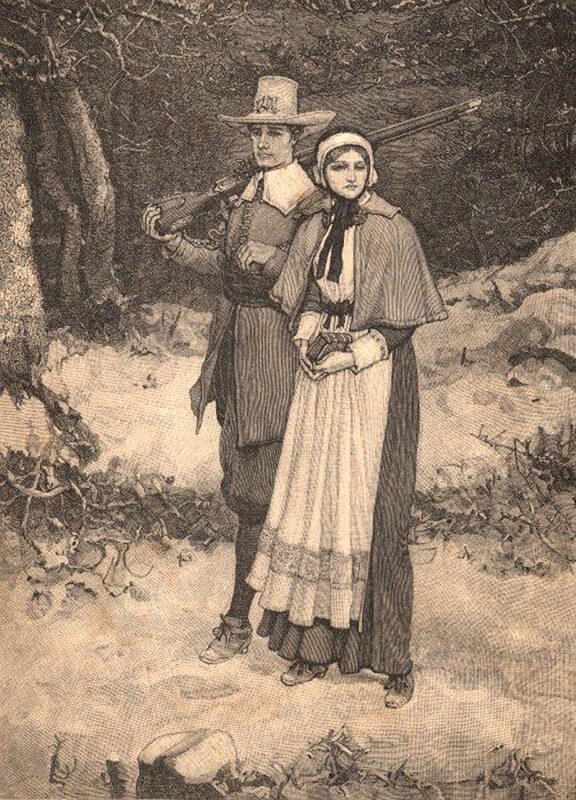 This little black and white Clip Art graphic features a young Pilgrim couple walking through the woods. This is an old engraving that I first scanned many years ago, I was hoping to rescan it as it’s rather a small image, but I can’t remember what book this one came from anymore! 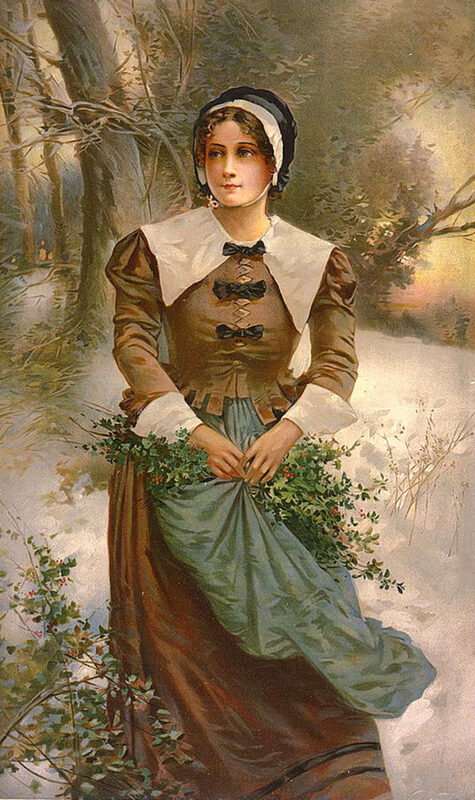 This is a Pretty Thanksgiving Pilgrim Lady Image! 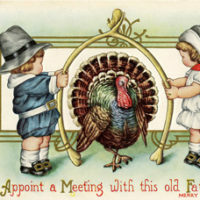 Featured here is a Vintage Thanksgiving Postcard. 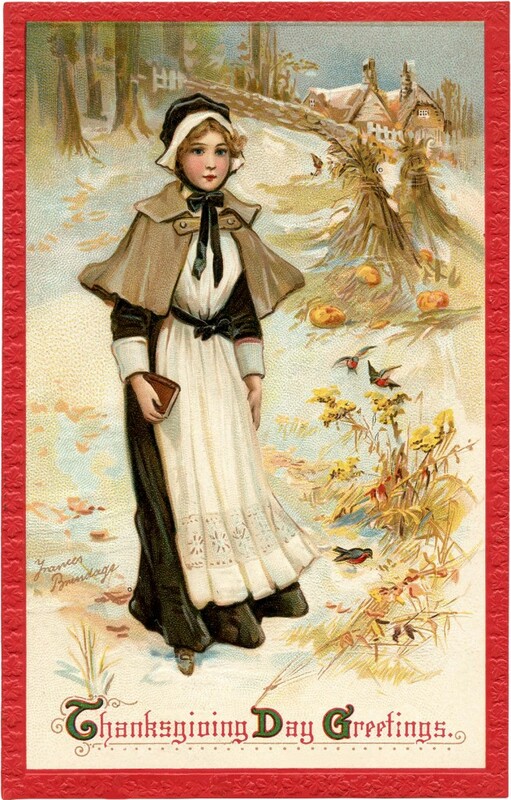 The card shows a lovely young Pilgrim Woman walking along a snowy path. The greeting on the card is “Thanksgiving Day Greetings”. This one was illustrated by Frances Brundage. A beautiful pilgrim woman carrying a bunch of Holly in her skirt as she walks through a snowy forest. I love the beautiful colors in this image! This is a small little image, it would be fun to tuck into a Holiday Junk Journal pocket. Not from my personal collection, but this is in the Public Domain. 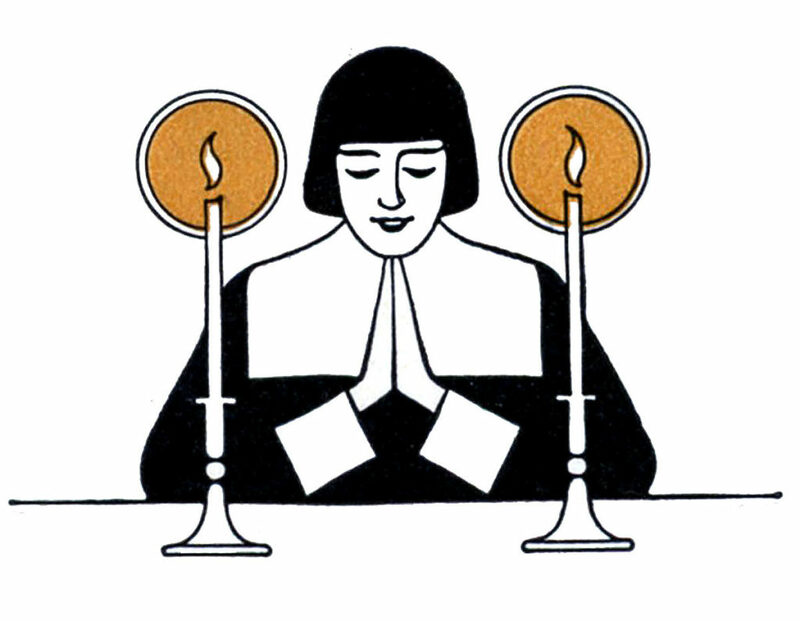 I hope you enjoyed this collection of Thanksgiving Pilgrim Clip Art pictures! You might also like our Best Fall Image Collection HERE. « Thanksgiving Mixed Media Menu and Place Card with Printable! Happy Thanksgiving!! Thank you for sharing all these beautiful pictures! Thank you for everything Karen. Happy Thanksgiving to you and yours! That is an extremely useful graphic. It’s hard to find pilgrims depicted as anything other than cartoons or eating turkey. Thank you! I hope you had a wonderful Thanksgiving! You are ever so welcome for the graphics. You are more than welcome of course, thanks for stopping by again and for leaving such sweet comments on both of my blogs! I found this one in an 1880’s history book. I’m so glad you like it! Thanks Karen!!!! I am sooo excited about tomorrow!!! I am honored to be part of Brag MOnday!!! Yippeee!!! I will make mention in my blog and by email and twitter for all my kin folk to stop by your blog!!! Love the new postcard…already made a post with it to be released this week. Turkey day here we come! Thanks so much for all your lovely graphics. I love Victorian and love to see Friday come to see what I am about to get!